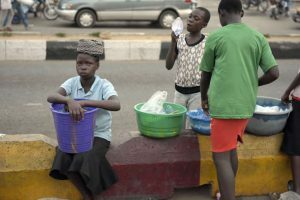 It’s January 2019 and if you’be been following the trends, the quality of education in Nigeria has steady done down over the past 20 years at least. I left secondary school in 1999 and 20 years later the schools of my time – including my alma mata, are a shadow of themselves. Talk about the king’s and Queen’s colleges of 20 years ago. They are nothing close to what they used to be. 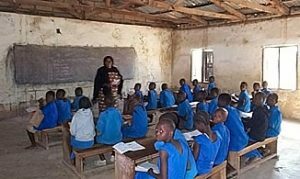 Infrastructure has continued to degrade, supply of teaching and learning materials continue to dwindle and the negative effects of the skewed value system we operate in Nigeria continue to destroy the character of both students and teachers. Today, you will find students who no longer respect their teachers and teachers who believe it’s very ok to set up a market right beside their desk in classrooms. Needless to say, little or no learning occurs in most of our school from primary to tertiary. The case is worse in the public schools. The story is long so let me go to the one that is ‘paining me’ right now. It’s the story about 13 million chil dren that need to be raised!! I didn’t say 13 million Naira or even 13 million dollars- that wouldn’t be a problem to raise at all. But 13 million children and counting will not be in school today as you read this article and as we celebrate World Education Day! What is an education day with —-% of children below 15 out of school?! Mind you, a lot of these children are not dropouts, they have never been enrolled in a school!! In 2005, I read a cover story in TELL magazine titled: “Street kids”. From that day a fire started up in me. I decided that as much as I can, I will ensure every young person gets the education they need. This fire led me to implement a personal community development project called “wisdom impact club” during my National Yourh Services year in Lokoja, Kogi State, Nigeria in 2005/2006. I went into schools and taught life skills to young people. Today, this fire has led to the establishment of Wisdom Impact House (WIH). An initiative with the goal to “empower young people for future relevance”. It’s still small beginnings but I, under the name of the organization and with the support of some friends currently have succeeded in ret urning 15 children to school, and support them by paying their fees and buying books in primary and secondary schools in FCT, Abuja and Lokoja, Kogi State. I am excited about this!! One of the students I enrolled in September last year, was an 18 year old boy who had to be enrolled in primary 2 after the enrollment test. When I saw him dressed in his uniform heading to school one day, my heart pounded and my eyes watered. Joy and sadness in equal proportions. I was happy that he was on the path to getting some skills but what prospects does an 18 year old primary 2 student have in today’s Nigeria? Or should I say the Nigeria that will be when he graduates from primary school at 22 years, or secondary school at 28 years old!! With all these drama, 15 is just 0.0001% of the growing 13,000,000 (thirteen million) out of school children. Note that the quality of the education is not being accounted for here. Anyway, it’s World Education Day! Wisdom Impact House is doing her bit. What can you do to ensure access to education for all! What can you do to support improved quality of teaching and learning in our schools? WIH’s most prominent activity for now is returning children to schools and supporting them with extra lessons in literacy during the holidays. You can support by volunteer to teach at the holiday lessons and you can support financially so that we can keep paying fees, keep enrolling more children, and keep the literacy camps going year round. Make a commitment to support quality education for all.